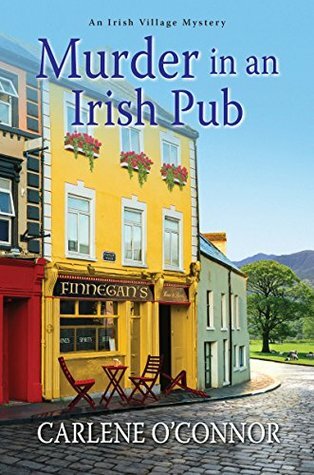 Murder in an Irish Pub by Carlene O’Connor – Books, Books and More Books! Kilbane is a small village in County Cork. Hardly a place one would hold an International Poker Tournament, but the people of Kilbane will take the tourists and players if it brings business to the town. Siobhan O’Sullivan, now a Garda, and her off the record boyfriend, Macdara Flannery and their small force are going to be very busy. As are Siobhan’s brothers and sisters working the tent for their own Naomi’s Bistro. With the tournament barely started, one of the most popular players is accused of cheating. And winning with the dead man’s hand. As things get rowdy they all are kicked out of the pub and continue their drinking and gambling at Sharkey’s. With the understanding that a decision on the cheating will be delivered in the morning. Early the next morning finds Siobhan walking to work and noticing Sharkey’s door is ajar. What she sees through the storage room window will shock everyone. This is the fourth in this series and the characters are so real they could be your neighbors. All the earmarks of a great cozy series are here! Great characters, even the sketchy ones, a real mystery and a surprise ending! THE PROMISE by TERESA DRISCOLL Release Day!!! what a lovely cover for a book!